Journalist Chris Forrester of Advanced TV and a Senior Contributor to Satnews Publishers has posted a story at his company's infosite that Leosat is planning to place between 78 and 108 satellites into orbit at 1400 kms. in altitude. The first satellites are due for launch in 2021. The company says it already has around US$700 million in client commitments. Japan’s JSAT and Spain’s Hispasat have invested in the company. The satellites will work uniquely by transmitting signals directly from satellite to satellite using optical laser-type links. Leosat says partially due to physics and partially due to its unique design, the Leosat High Throughput Satellite (HTS) network will provide faster high-throughput links than existing satellite systems and outperform terrestrial fiber links in speed on long-distance network routes. Satellite Evolution magazine recently carried an interview with Ronald van der Breggen, the CCO of Leosat, who said that Leosat’s technology will make it competitive against fiber communication, as in space bits travel at the speed of light, i.e., 50 percent faster than in a fiber optic cable. The fastest cable connection between London and Singapore requires 192 ms., while Leosat claims their technology can connect both cities in 120 ms. In a note to investors issued by equity analyst Sami Kassab from bankers Exane/BNP, he stated, “Leosat says its technology is able to compete against fiber and, hence, considers its market as the global data communications market, which Van der Breggen claims is 200 times bigger than the current satellite market. He also argues that its rooftop-to-rooftop connectivity offers a more secure network environment than traditional terrestrial networks. Also at Advanced TV is an article entitled "Can SES win an advantage over OneWeb?" Would-be ‘mega-constellation’ OneWeb (which wants to orbit 900 smallsats to cover the planet with broadband connectivity) is late with its satellites, which are reportedly costing more to build than estimated, and that is giving Wall Street the jitters with their financial forecasts. 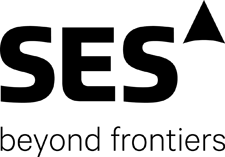 Asked whether these problems being experienced by OneWeb would give satellite giant SES a competitive advantage, SES recently appointed CEO Steve Collar admitted it would do SES no harm. “We are not substantially influenced by OneWeb, because fundamentally we firmly believe that we have the right solutions for the market,” he said, continuing, “I am on record as being something of a LEO sceptic, not directed at LEOs themselves but at the current generation and architectures around. It is basically because they are so expensive, and not just the satellites but the whole supporting infrastructure. It has some considerable technical challenges, which are not insurmountable but come with enormous complexity.